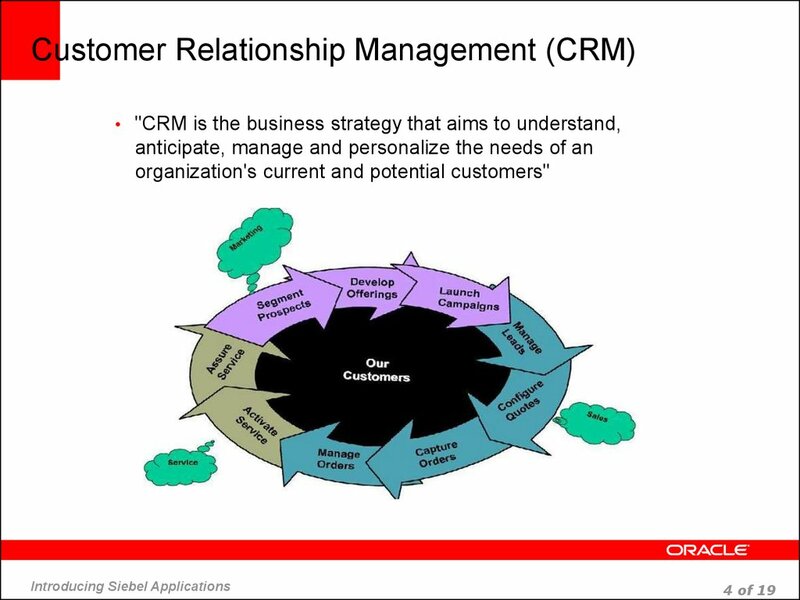 organization's current and potential customers"
Contacts, Sales Opportunities and to forecast the revenues. 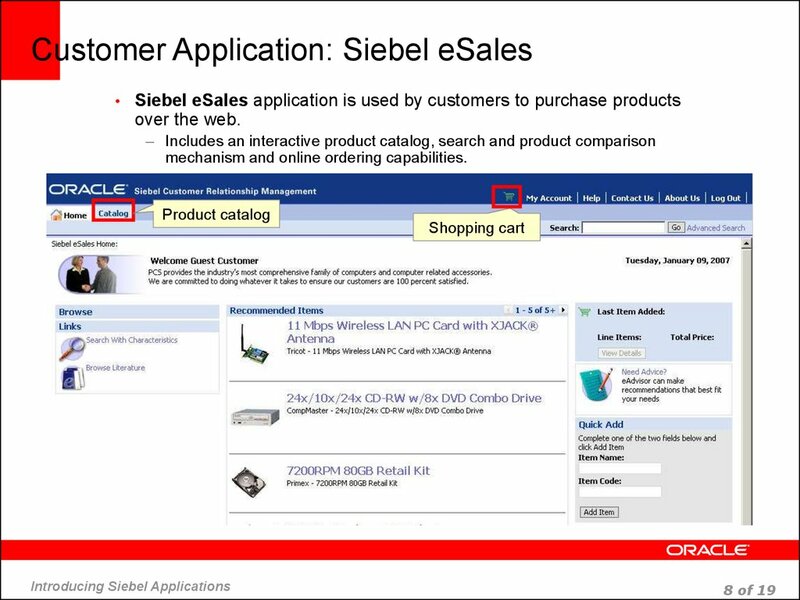 mechanism and online ordering capabilities. 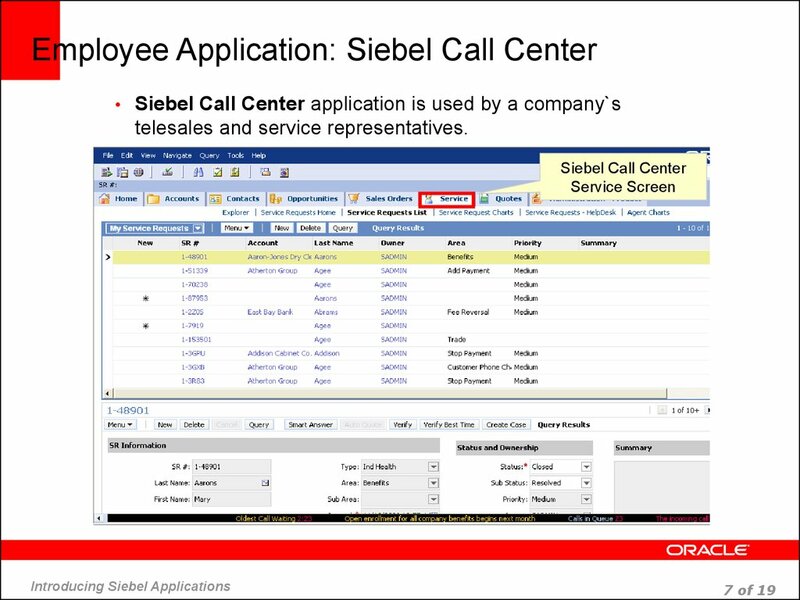 • is available for customer and employee Applications. 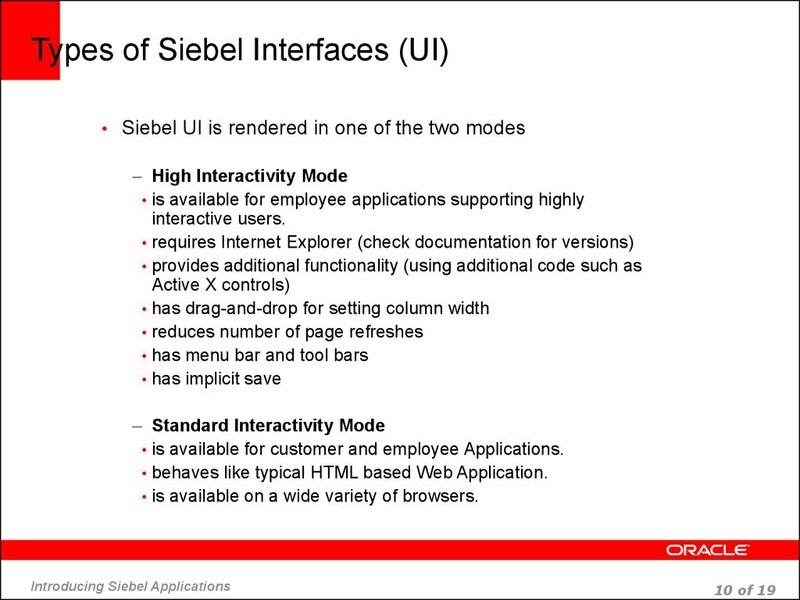 • behaves like typical HTML based Web Application. 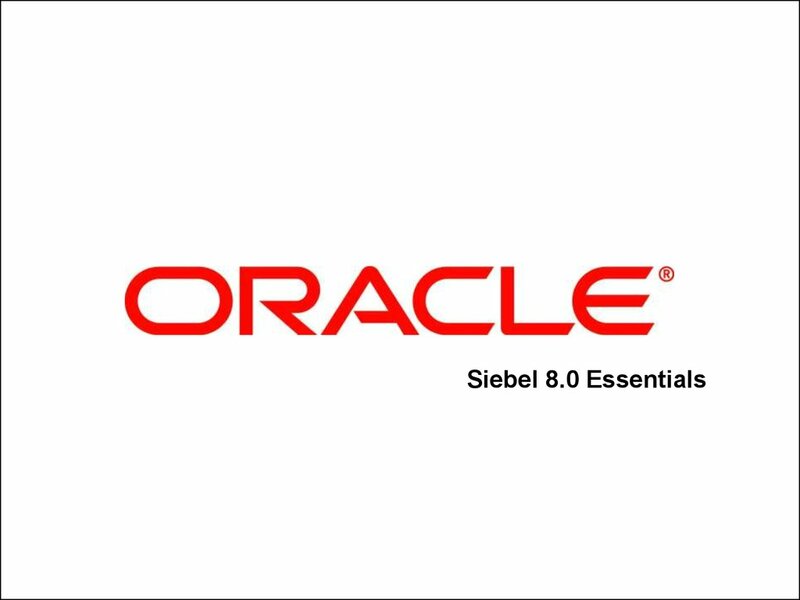 • is available on a wide variety of browsers. 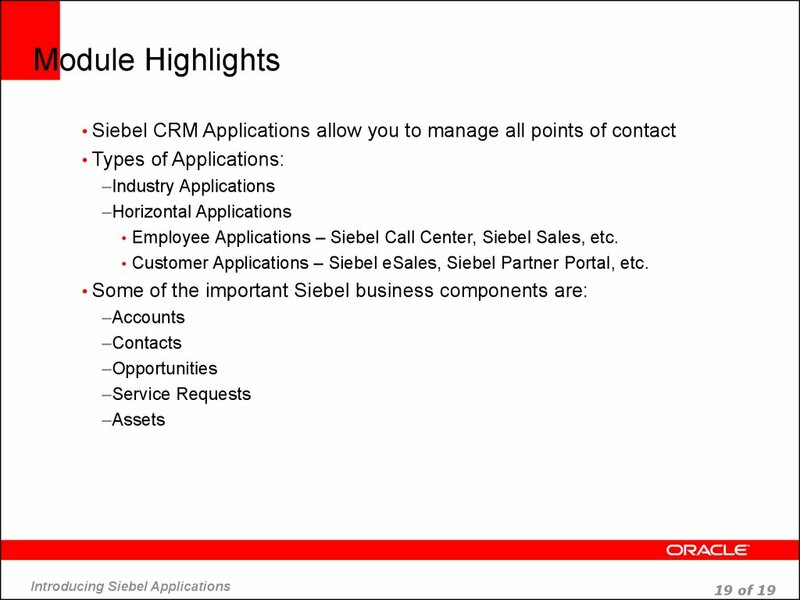 • Employee Applications – Siebel Call Center, Siebel Sales, etc. 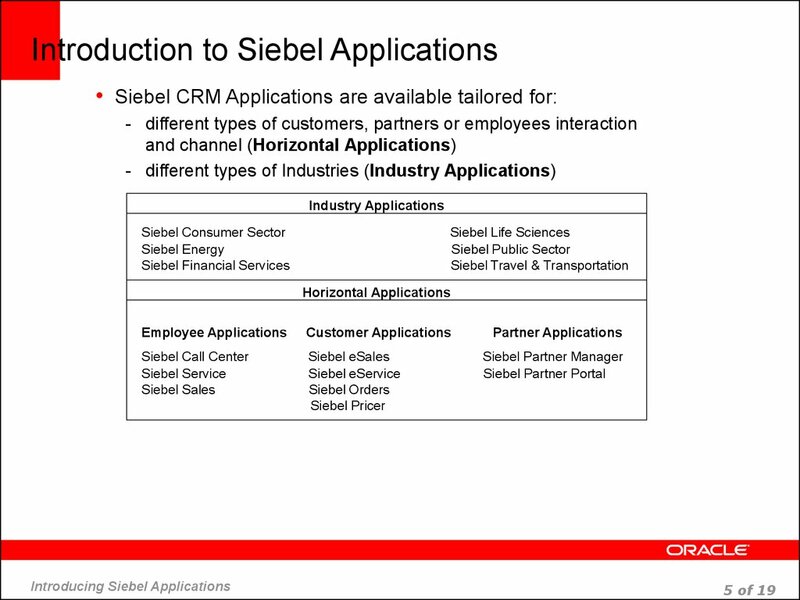 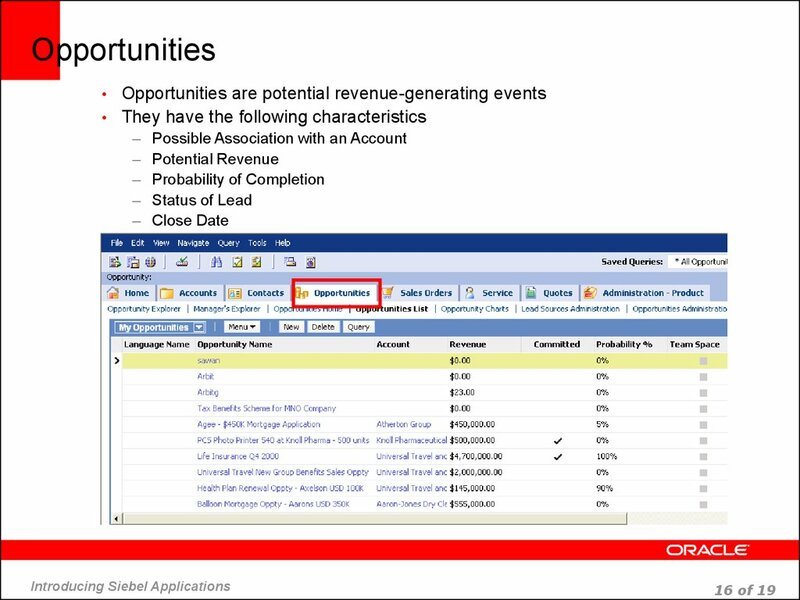 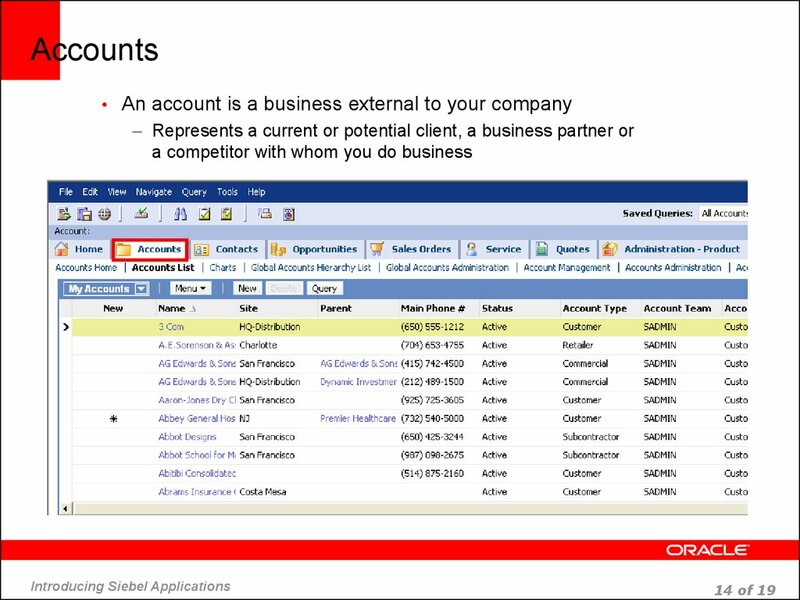 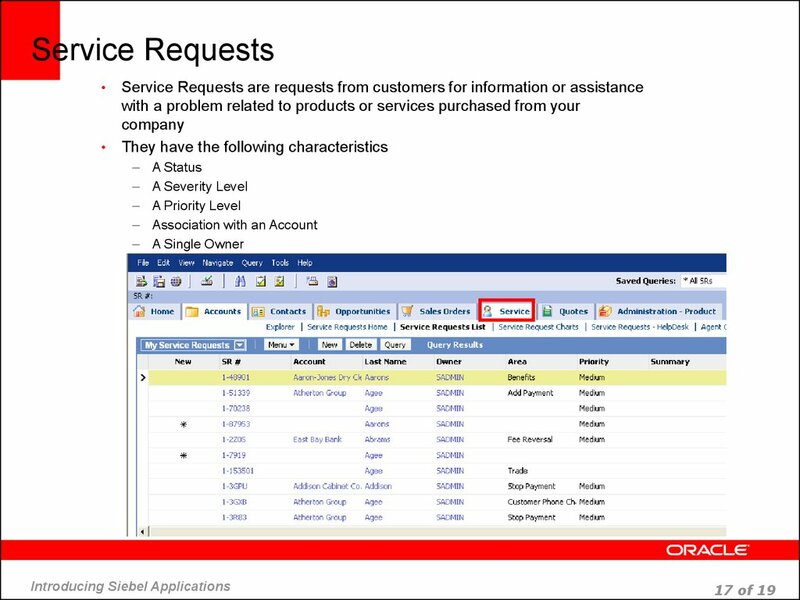 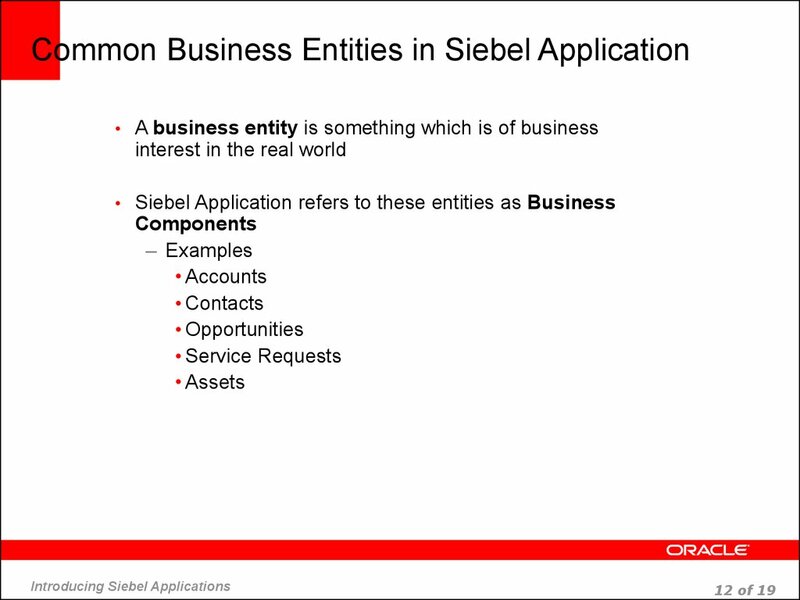 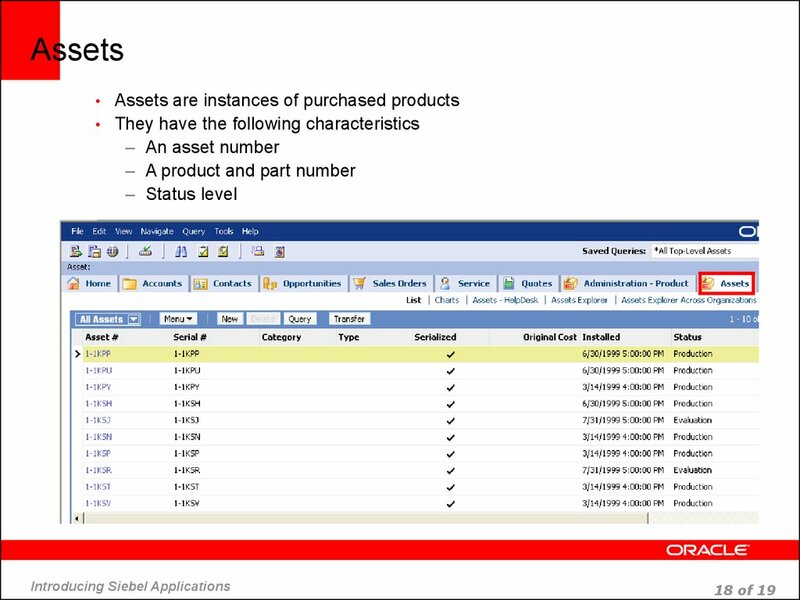 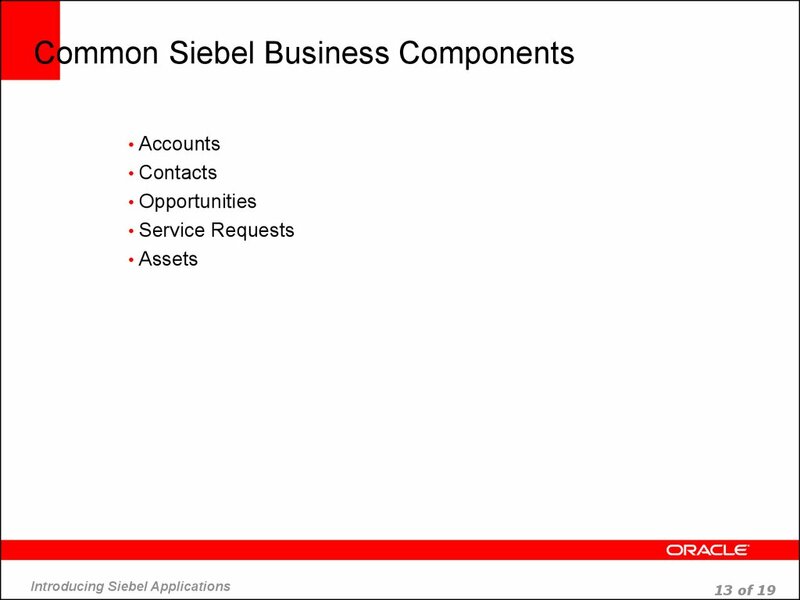 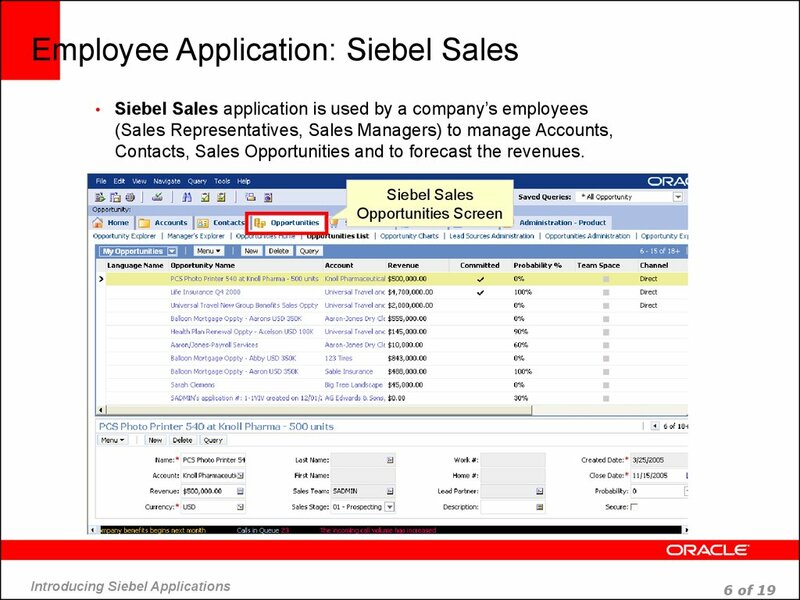 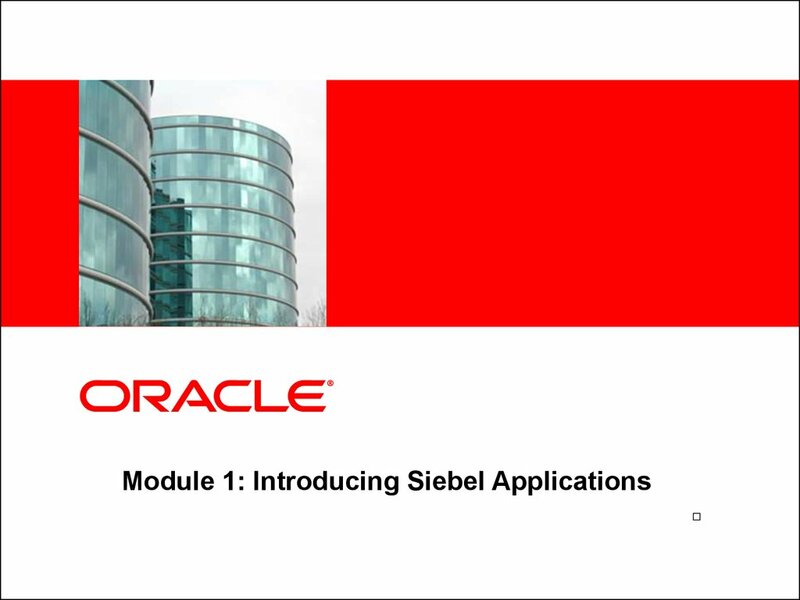 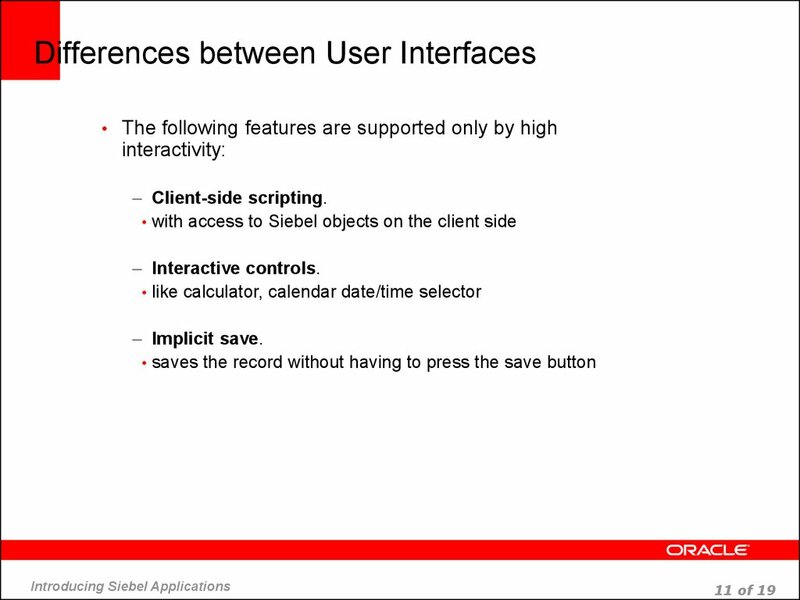 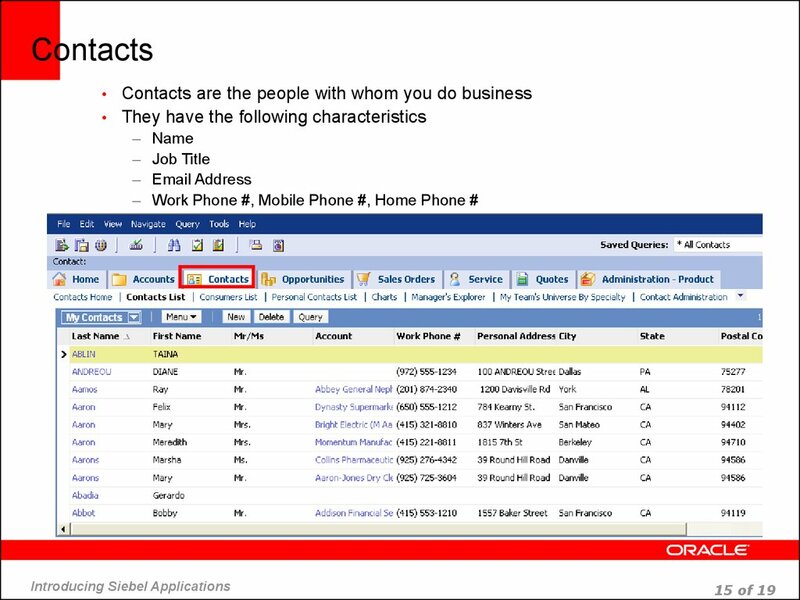 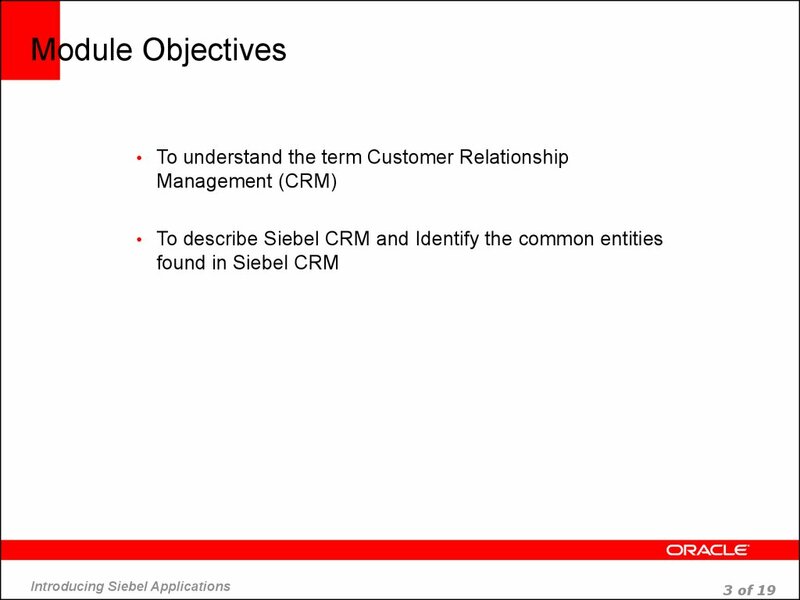 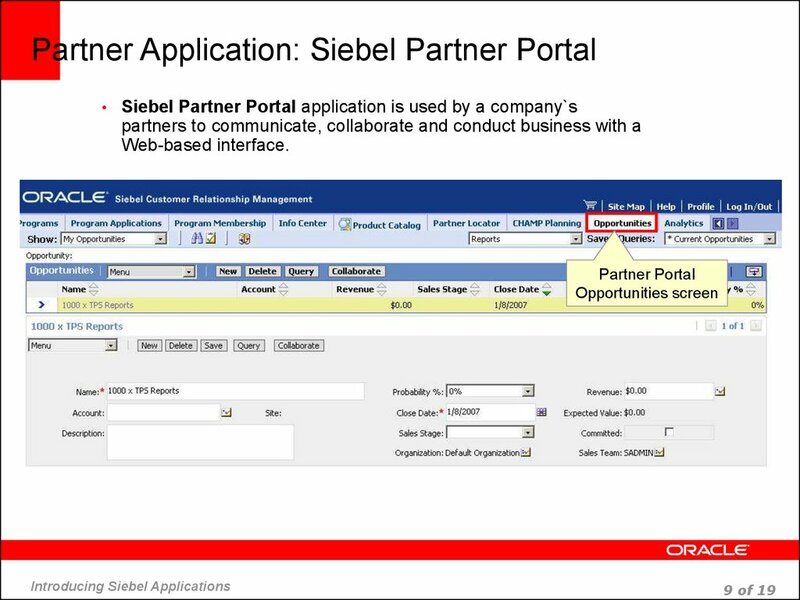 • Customer Applications – Siebel eSales, Siebel Partner Portal, etc.